2. Johana in Chile is an amazing artist in a very specific and delightful medium: felt animals. 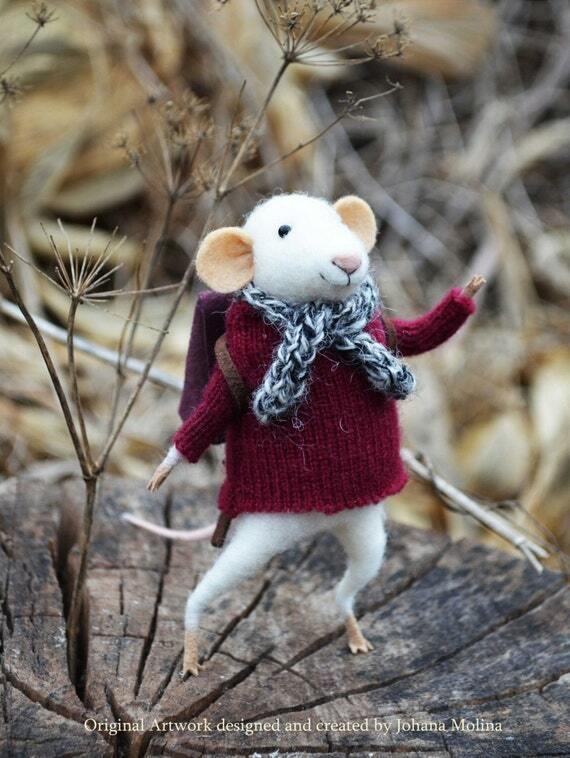 Gah, I can’t even handle the cuteness of this little traveler (felteddreams on Etsy)! 3. In case you missed it, Muji unveild their prefab tiny homes! Check out all three of their designs here. Which one is your favorite? 5. I just love love love this advice from Melissa Hartwig on which adult alcoholic beverages are healthiest. Seriously read it – it’s not what you think. Whether you’re on a “diet” or not, fully appreciating (and hopefully loving) what you put in your mouth can only be a good thing. I have had to be real with myself and break up with adulty beverages that I used to lerrrve because they just made me feel ridiculously horrid even when I only drank half a glass. Now I pretty much stick to hard cider, tequila, white wine …and sparkling wines because OBVIOUSLY.